Thanks to my guests, Jonathan Whitall and Elinor Kapp. If you’d like to help Jonathan move the world one step closer to a global knitting language, check out his KnitML Blog, or join the Ravelry Group. Elinor’s wonderful book is available at Amazon.com, and Amazon.co.uk. Dulaan is the Mongolian word for warm, and The Dulaan Project seeks to inspire the generous spirit of the knitting community to help meet the urgent needs of Mongolia’s impoverished people. Five Free Socks, the latest e-book from KnittingDaily.com, features a little something for every foot in the family, from a basic beginner sock pattern, to lace, textured ribs, and intricate colourwork. And did I mention, it’s free? To the Best of Our Knowledge, a program created by Wisconsen Public Radio that aired a few months ago, considers what is meant by the word Craft. Does it mean a hand-made object that’s almost art? Or could it be anything that’s thoughtfully done to the very best of the doer’s ability? The program explores the question and finds some surprising answers, and it is still available on web, as a streaming audio. Lastly, as promised, my recipe for Fresh Pumpkin Pie. The podcast won’t download. Something about the url not working. Sorry to be the first with not-good news. Alas! There may be no comments because this episode isn’t downloading. Could you try again, please? First! Good to hear your voice, and I heart this music! There was a problem with the feed. It’s sorted now. Thanks for letting me know. I discovered your podcast last year and loved it so much that I downloaded all of the back episodes and listened to it non-stop. The last episode was the one where you said you weren’t sure about the future of cast-on. I was so disappointed! But of course I understood. I just wanted to let you know that I really enjoy your thoughtful, informative podcast and I’m really glad to see that you’re getting into a regular schedule again. It’s an exciting day when I open itunes and there’s a new episode of cast on! Haven’t listened to the current episode but I also was very interested in the To the Best of Our Knowledge podcst on craft. Can’t wait to hear your take on it. Being a ‘code monkey,’ geek, nerd, etc., from way back (when computers filled whole buildings not a desktop), I enjoyed this cast no end. I’m still sitting here grinning. I love it that someone of the younger set of programmers is working on making an XML version of code generator for knitting. This was a fun podcast to listen to. I LOVE that you are talking about alchemy. I’m currently studying with the International Alchemy Guild and Flamel College. I never thought I’d hear anyone else talking about knitting and alchemy together! Cool pod cast! Well, they are always cool, and thought provoking, and sometimes just really comforting. I particularly enjoyed your delightful discussion with Elinor Kapp. That was mind blowing and very very useful! ::rubs hands together in anticipation:: I’ve got some English lit people to take on who have asserted that text is their word exclusively relating to the written word!!!! Ha! Thanks for the ammo. As of last Friday, when I downloaded the podcast, “Rigmaroles” wasn’t available on amazon.com (“Out of print, limited availability”) — but when I checked again just now, there it was. It must be due to the mention it got in your podcast. Thank you very much! Thankyou for another wonderful episode, Brenda. The info on the development of knitting code was wonderful and I plan to buy Ragamuffins and Rigmarole soon as it sounds fascinating. I love the new theme and am full of anticipation for the next episode. Will you be teaching us how to turn acrylic into cashmere instead of lead into gold? I started a new job yesterday and it was wonderful to have a new podcast to listen to while I was gettting there, and getting home again. Thank you! Great podcast! It must be quite exciting for a writer to investigate the “code” and language. I’m looking forward for the next episodes. Thank you! Another beautifully crafted, well-researched podcast. I really enjoyed the links in this show, between alchemy, programming language, the language of knitting, the language of textiles… loads to think about and well woven together. I found Cast On last month and I wanted to let you know how much I’m enjoying your podcasts! I’ve been listening to the old issues on my 1hr bus commute to work each day and the combination of knitting talk and good music is perfect for listening while knitting on the bus. I tried to submit this in the contacts, but I kept getting a failed to send message response. I think if you haven’t looked up Great Big Sea you should. They’re a Canadian rock band, and you seem to like Carbon Leaf and Enter the Haggis so I think you’ll like them too! For some reason every time I try to wrap my poor brain around KnitML and KEL, it turns into a vaguely spongey bunch of grey plasticine. I suppose I keep looking at this website when it’s too late in the day. But the segment about the genesis of various fiber-related words was fascinating – see? Cast-on has something for BOTH sides of the brain:)! Glad you figured out what to do with your friend, Jean’s quiviut! Good point about the freezer, too. I inherited some wool from a friend’s mother who has been gone lo’ these many years. I suspect the plastic bag that held the yarn has been in the basement/garage and has had about 10 seasons alternating between freezing and thawing, so I think I’m ok, LOL:) But boy, is that good advice! Hope you’re keeping warm this January! I’m only half-way through the podcast, since baby nap-time was shorter today than I had hoped it would be. However, just wanted to leave you a comment and say that I am thoroughly enjoying it so far. It makes me so happy to see that a new episode is up, and I cherish the knowledge that it’s sitting in my iPod, waiting for me to have a few moments to sit and knit and listen. Hopefully the babies will sleep long enough tomorrow that I can finish listening, and then wait hopefully for the next podcast to come soon! I have just discovered you a short while back and have finally caught all the podcasts to date (in an embarrasing short amount of time). Cast On is fantastic! You have a wonderful way of speaking and I have enjoyed every episode and have found inspiration from some part of them, whether from the sweater of the day, your guests, the music, the feedback or even your rants… keep up the great work. I like the idea of you talking about weaving, crochetting, or lettering, whatever the craft, even if it is removed somewhat to knitting because they require the same creative process we all use. I live just north of Toronto and belong to a craft guild that is made up of knitters, weavers, quilters, miniaturist, woodworkers and many other artisans and every meating has sparked my imagination and helped me be a more creative knitters. We can learn so much from others. Brenda you have a superlative podcast and look forward to many more. Thank you for all your hard work it is much appreciated. You know, I think it’s great that you’re sharing the recipe for the pumpkin pie, because fall is just around the corner for listeners in the southern hemisphere, and there’s a better chance of them being able to find fresh pumpkins than there will be for some time here in the northern hemisphere. I wonder if it’s too late to start growing some in various areas? If seeds for pumpkins aren’t available locally, I wonder if folks can still get some and mail them off to curious listeners who may want to try to grow their own? It’d be a nice bookend to some of the previous episodes where you’ve mentioned your garden at your home in Wales. Aside from that (and boy howdy do I want pie right now), this was a great episode. 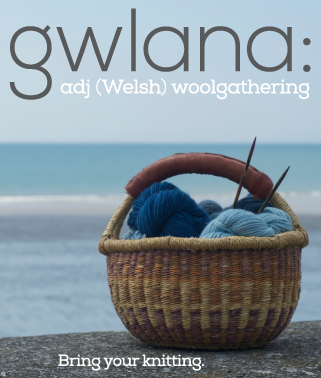 The interview about the knitting terms in everyday language was lovely, and I’m off to explore the Ravelry group and blog you linked to about KnitML. I’m still not able to download it– am I the only one? I don’t use iTunes, I use Juice. I’ve unsubscribed and resubscribed. I, too, use Juice. And I can’t download it, either. I ended up downloading directly from the web site. My fiancé also uses Juice and had no problem (after the initial fix). I compared the URL she uses to mine and they’re identical. I unsubscribed, resubscribed, killed Juice, restarted; still no luck. Juice has been (and is still able to) download previous episodes, just not #73. I can’t find anything strange with the XML (the year being wrong in the file name doesn’t matter). I’m running Microsoft Vista 64-bit and she’s got Microsoft XP. Also, I couldn’t find the podcast feed URL from the web page. I don’t use iTunes, and don’t want to. I usually copy/paste the URL, but I can’t find it on Cast-On’s page; I had to copy it from my fiancé. I don’t want to sound completely negative: I love the podcast, and regret not having time to listen from the first episode. Thank you for creating it; I know it must be a lot of work. Great episode, one of your best in quite awhile! Keep up the good work. I have always enjoyed Cast On and this episode is as great as ever. Thank you for the podcast! Wonderful episode! I’ve been busily following all the links in the show notes. What a fascinating theme! And you are off to a great start. Your podcasting mojo is well and truly back. Thanks for the consistently best podcast out there. I loved this episode so much, I went back and listened to it again after it was done. You spoke to the inner and outer geek in me! I remember learning about the connection between the Jacquard Loom and Computers from watching the “Connections” show with James Burke when I was a kid. Plus, I love, love the Code Monkey song so much, especially the reference to Code Monkey’s inner thoughts about his boss. Thanks again for an excellent podcast! Listening to Cast on and not responding to let you know how much I enjoy it is like listening to National Public Radio and not supporting it..so, I’ve made my NPR contribution and now I’m writing to tell you what a difference you make to my knitting sessions…podcasts from Brenda and starting a new sweater-the best way to spend an afternoon. 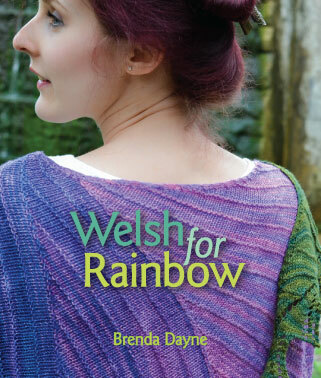 Thanks for the slice of life in Wales images, the knitting info and connections and the ‘realness’ of your podcasts! Regarding canned pumpkin pulp – I have managed to buy lots of tins from Waitrose ( Malvern) and I think once or twice from Morrisons (Leominster), mainly during the winter months. Its manufactured by LIBBYS. I usually squirrel away a few cans at a time!!! It makes rather nice pies. Thanks for a wonderful podcast and try and keep warm during this rotten cold weather. Loved this episode and the section on words related to fibre was very interesting. I’ve been watching antique programs since and they were discussing Filigree and I thought to myself “That looks like lacework” and a quick search on Wikipedia shows that it in indeed a word that has fibre origins. It’s derived from the latin word Filum (thread). How wonderful! I’m sure it’s in Elinor’s book already… I may have to take a peek. Looking forward to your next podcast… hope your techincal issues are short-lived. Fantastic to hear the interview with Elinor Kapp. I bought her book several months ago and absolutely loved it. It was also a great help in my art research as I’ve been working with textiles a lot over the last few years and word meanings have always been very important in my art. I agree with Rachel, Waitrose is the place I’ve most often found tinned pumpkin, although it’s also worth looking in health food stores as they sometimes stock jars of pumpkin purée. Hey Brenda… I’ve got episode 74, but 73 still won’t download from iTunes. says it can’t find the mp3 on the server. Any suggestions? I really enjoy listening to your pod cast. It is always entertaining and informative. I hope you are able to continue cast on for a long time to come. Thank you for this again great podcast, Brenda. I don’t know how you still find the time and energy to keep on after over 5 years and 70 episodes. The geek in me will keep an eye on KnitML developments. Hi – looking forward to this one – have come over here because the iTunes link still has some sort of alert on it… Thankyou! I’m still having problems downloading Episode 73 through iTunes, no error message, just won’t download it. I’ll get it from here instead. And thank you for making all of the podcasts, they’re great. I am so sorry that so many of you are still having trouble downloading this episode. I think it has to do with how different RSS feed readers handle the xml file containing the podcast feed. They seem to read each new entry in the file, but do not reflect any changes made to previous entries. The entry for this episode originally contained an incorrect file name, making the file unavailable. I’ve since corrected the error, but a couple of the feed readers are still balking at this file, meaning the feed hasn’t updated in these applications. This is a problem with the feed applications, and not the feed itself. The only thing I can suggest is the fix that sometimes works: Unsubscribe from the feed. Then resubscribe. When you resubscribe your application will pull in the data from the corrected xml document, and the file should then be accessible. Again, I’m really sorry about the trouble with this episode. The misnamed file error happened because it was late when I wrote the feed, and I was tired. Next time, I’ll save this task for the morning, even if that means putting out the podcast a day later than planned. Hi Brenda, It’s July 18th and I have tried to download this episode both from here and from ITunes and having no luck on either. The URL “http://feedproxy.google.com/~r/cast-on/~5/.Q4EgR8nQxg/CO73-090123.mp3” could not be found on the server. If you have time would you please check and see if you can fix up the feed so that I don’t miss an episode? I’m a relative newcomer to your show and I love it! I’ve downloaded all the episodes from Itunes with the exception of no 73 which is misbehaving. Any ideas gratefully received. I’m so sorry you’re having trouble with this episode. Sadly, I have no idea why this one doesn’t seem to play nicely for some people, while other’s are managing to download it without any problems at all. It’s really a mystery. There is an easy workaround, however. You can use the embedded media player to stream this episode, or click the link above that says, “Download Episode 73”. If you save the file to your desktop you can import and listen to it in iTunes, or the media player of your choice. I am trying to catch up on all your previous podcasts! I love them-but I can’t get this one to download on i-tunes. Thanks!